Meh, it works kind of - complicated, but works okay on a demo. Not tried it on a live, and doubt I ever will. But never mind, still good none the less. Jason Fielder is a con artist period. I paid for his Delphi scalper for my wife to use. She lost on every trade. By the time the red or green arrow indicated a buy or sell it was too late. On a 30 minutes chart the lag was 15 minutes. It's already moving the other direction by the time the signal alerts you. My wife let me know how crappy the system was but it was just past the refund time. They would not even in good conscience refund us. Even though I said it was useless for us to have as it didn't work as promoted. Again they use the time deadline type marketing tactics etc to rope people in even before they have trading accounts set up. So by the time my wife got her trading account set up and used the demo and then live traded...we ran out of time. I hope Jason is enjoying all his scam money...his filthy lucre off the backs of others who don't have a lot of money. His money is going to burn up quickly in hell which is where liars and thieves end up. Same experience as others, Tons of opportunities on the demo version - none on the live version.I don't understand, why put this piece of s**t out there and ruin your reputation as a software provider. Obviously the intelligent among us will get a refund once it is tested and found wanting, but are there that many out there who will not request a refund? Is he going to make that much money on those poor bastards? I guess so. 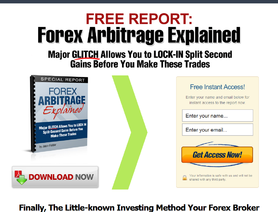 Big"A" says that brokers will kick you off their system if they find that you are making too much money or they find out that you are using this forexarb system. He is promoting this software with 3 month of additional training to teach you how to avoid getting caught by the brokers. Seems like the big hedge funds would have seen this arbitrage opportunity and would have exploited it by now. After watching the "webinar" regarding the Forexarb software they made a point that the best times to trade and find the largest gaps between broker prices was on a sunday evening at market open 9.00pm gmt. Well i've got about 7 different demo mt4 accounts which i use for charting and none of them open up for trading untill 11.00pm gmt so just how its possible to play the "open" for good arbs i'm not entirely sure. The only thing i can think is that "live accounts possibly open at 9.00pm gmt with the markets. If this is the case then(as they kept saying) this is the best time to trade but if not then it might be something worth taking into account when considering the 2k price tag. Real accounts from genuine owners of the software is whats needed and going by the post below(Nick) from a genuine owner its not looking promising. Looking forward to your update. The one arb that Jason placed in the webinar was still open quite a while after and not entirely sure how it ended as my webinar froze and by the time it was running again they had moved onto something else. Still didnt show any past performance from the likes of mt4stats/statements or myfxbook so still none the wiser after nearly 2hrs of webinar. 2.) Where is the independent 3rd party proof that this strategy really works on a live account? Why haven't they posted LIVE trading results on MYFXbook.com? My guess is the reason we don't see any live reports and can't test it live is because the short coming in the strategy is the ability to execute trades fast enough, requotes on one side of the trade, and a poor win loss ratio since you have to take ALL the arbs reported. Hopefully someone will be able to post some LIVE results somewhere soon. So Nick, did I understand you correctly. You now own the Live version? Jason never did provide Live account statements, but neither could I figure out why he didn't even show the demo balances or let us see it from our end. It's one thing to see a "profit?" within his software, but let us see the balances in the demo accounts. To me the answer seemed obvious to me, but was giving him the benefit of the doubt. Still waiting... on LIVE statements. As you said and is repeated over and over again, there a stalk difference in performance between a Demo account and a Live account. Works perfect on demo accounts, there are plenty of arbs and stay there for a few seconds so you have plenty of time to click. It generated tons of demo pips. BUT on real accounts there is not a chance to make a single pip. Arbs are rare and stay there for 1, 2sec at max. There is 1.5pips of potential profit in best case. I had the chance to execute on arb since last Tuesday and of course it executed with slippage, so one trade - one loss so far. I run it with 8 brokers on VPS, 1ms the furthest broker. Will ask for refund on the 29th day after purchase.